For over 20 years, Landmarq Tree Service has been among the most highly recommended companies for tree service in Florham Park NJ. As a way to show our appreciation to our customers, we’re always challenging ourselves take our dedication to total customer satisfaction to new standards of excellence. One illustration of our commitment to our customers is providing emergency tree service in Florham Park NJ at all-hours of the day and night so we are able to remove the threat caused by diseased and damaged trees. Additionally, we do everything we can to keep your tree removal cost to a minimum. Hiring a contractor for tree removal in Florham Park NJ is not just a matter of convenience. It is also crucial for your safety. Recently the Tree Care Industry Association performed a review of 2013 media reports of homeowner tree accidents. They discovered news stories about 45 tree removal or tree cutting accidents and, sadly, 28 percent of these injuries were fatal. The majority of homeowners see a qualified tree service in Florham Park NJ doing tree removal or cutting work and it appears to be comparatively easy. They determine to save on their tree removal cost by carrying it out themselves only to discover the work is not as easy as it appears. A contractor for tree removal in Florham Park NJ will assess the state of the tree prior to cutting to discover which way the limb or entire tree will fall. This evaluation determines the tree’s weight distribution. 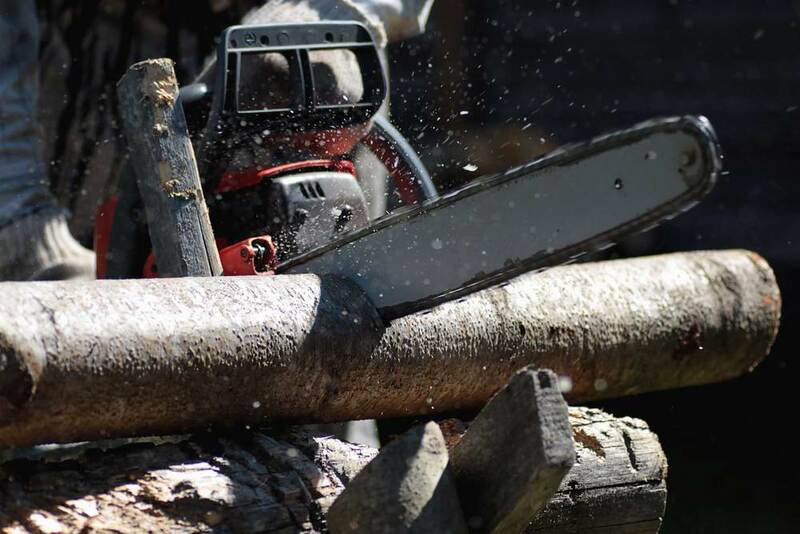 As defects inside the tree limb or trunk won’t be readily noticeable, homeowners frequently are surprised when a large limb falls when they are doing their own tree cutting. This is a miscalculation which regularly leads to injury when a tree limb falls and hits the ladder. Rather than saving money on tree removal costs, the person has to spend money on medical treatment. This should make it easy to see why employing a professional company for tree service in Florham Park NJ is important for safety. Hazard trees are another safety issue that necessitates a call to a contractor for tree service in Florham Park NJ. When disease, insect infestation, storm damage or rot weaken the limbs or trunk of a tree, the risk of a large limb falling on your home or family member significantly increases. 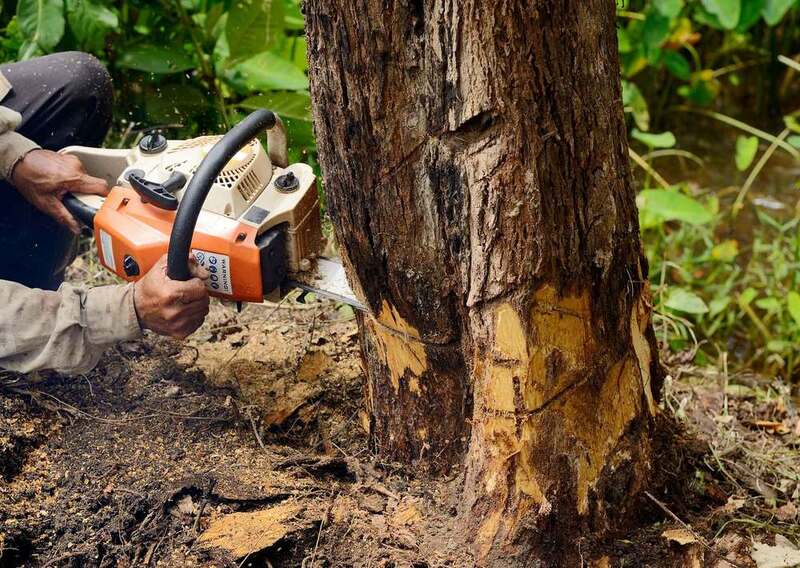 It may also be hard to assess the extent of the harm to the tree’s internal structure, which means that tree cutting or tree removal can be even more dangerous. 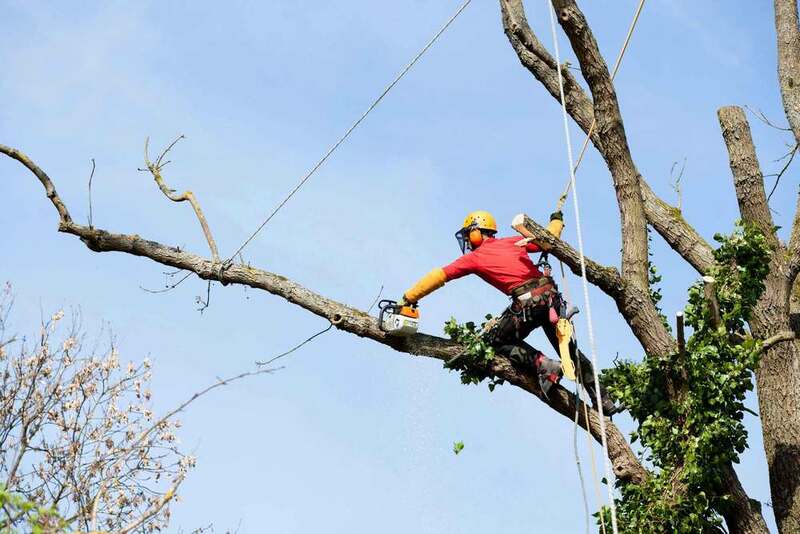 At Landmarq, our emergency 24/7 tree service in Florham Park NJ means that you do not have to risk injury to yourself, and as an alternative can employ a specialist tree service contractor to handle tree cutting or removal. In addition to services for tree removal in Florham Park NJ, Landmarq Tree Service offers regular tree cutting. If you schedule routine tree service, our trained experts trim and prune the trees on your property so they remain healthy. For homeowners that are uncertain about the best way to look after their trees, our seasoned tree specialists provide no-cost tree evaluations. Using their findings, our tree maintenance professionals devise a tree care strategy that comprises a breakdown of your estimated tree cutting and tree removal cost. If you invest in routine tree service in Florham Park NJ, you ensure both the well-being of youth trees and minimal tree removal costs in the future. Throughout the last twenty years, our team at Landmarq Tree Service has invested a considerable amount of effort in earning the trust of homeowners that need a company for tree service in Florham Park NJ. When you call us to make an appointment for tree removal, you can expect our team to be at your house quickly and also to make sure your yard stays as debris-free as possible. If you have any questions about our tree cutting and removal work while we’re at your home, our tree experts are going to be more than happy to give you precise answers. Our strong reputation as a company for tree removal in Florham Park NJ rests upon our capability of offering reliable professional tree removal and cutting services at a time which is suitable for you, as well as at a price that you’re able to afford. To learn more regarding Landmarq Tree Service, contact us now at (973) 287-4826 and make an appointment for a no cost consultation for tree service in Florham Park NJ.